The Department of Public Lands has finally remitted money held for over a decade in the Bank of Saipan to the Marianas Public Land Trust, negotiating a release of an account and remitting this money, some $800,000, to the trust for its investment. 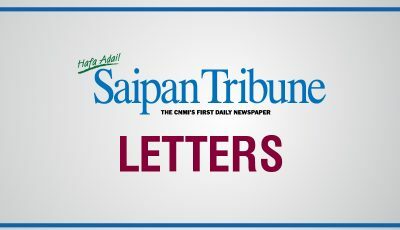 DPL communicated the release of the money—held in a restricted account at Bank of Saipan pursuant to an agreement between the bank and DPL’s previous iteration, the Marianas Public Lands Authority—in a letter to the trust on April 11, 2016. A total of $800,334.16 has been released to MPLT. DPL Secretary Marianne Teregeyo said she wrote to the bank several weeks ago and requested to withdraw the money “because that money should have gone to MPLT constitutionally.” MPLT, per the CNMI Constitution, invests money from DPL leases for the Northern Marianas Descent. “This is big news,” Teregeyo told Saipan Tribune in an interview. According to its most recent audit for fiscal year 2014, DPL’s “deposits with the bank” amounted to $1,288,552 and $1,784,475 as of Sept. 30, 2014 and 2013, respectively. DPL signed a depository and non-withdrawal agreement with the bank in October 2004, which requires the bank to disburse $30,000 per month to DPL beginning the effective date of the agreement. “DPL maintained deposits in the Bank of Saipan. On April 30, 2002, the bank went into receivership. On May 27, 2003, the bank officially reopened for business; however, DPL has been restricted from full access to the deposits held at the bank. The bank agreement ties into the bank’s collapse and receivership in the early 2000s and the issue of funds held at the bank in the 1990s for the former public lands body that were never remitted to MPLT. The former public lands body had built up a sizeable amount of money at Bank of Saipan, reported to amount to some $11 million by the early 2000s. The constitution was later amended so that “administration” includes DPL’s homestead program, through a constitutional convention in 1985. “They’ve always used that as a shield against us trying to get any of their money,” added MacMillan, referring to DPL’s justifications that they need to save money for the homestead program in these accounts. “That shield doesn’t work so well given the fact they are a part of the central government and they have to abide by the budget law,” MacMillan said. “So they are only allowed to spend what the government budgets for them. And our concern is that they built up a lot of cash and they haven’t” remitted them yet. Teregeyo, appointed to the DPL’s top post last February, also said these funds “shouldn’t have been under DPL’s custody,” saying she did not know, when asked, why the funds were held. She acknowledged that this was beyond her time at the post. “It should have been forwarded to MPLT. Because when MPLT received this money, they invested it at a higher rate…way more than the 1 percent that we collect,” Teregeyo told Saipan Tribune.